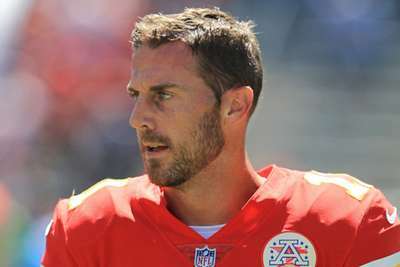 The Washington Redskins have said Alex Smith is recovering from a "serious injury" following reports the quarterback is dealing with post-operation complications from the surgery he had to repair his broken leg. Smith, 34, went under the knife on November 19 having broken his tibia and fibula in the team's 23-21 loss to the Houston Texans in Week 11. A report on NFL Network claimed Smith is battling an infection related to the surgery and that it was too soon to say what this meant for his future in the NFL. The Redskins subsequently released a statement which read: "On behalf of Alex Smith, we appreciate all of the concerns and prayers over the injury he incurred on November 18 against the Houston Texans. "Although this is a serious injury, Alex and his family remain strong. We would ask that everyone please honour the Smith family's request for privacy at this time." Smith was initially expected to be out for around eight months having suffered a compound fracture. Colt McCoy, his backup in Washington, broke his leg on Monday night against the Philadelphia Eagles so Mark Sanchez is now at the top of the depth chart for the 6-6 NFC East team. 12:26 AM NFL Draft 2019: Should Cardinals take Murray or stick with Rosen? Kick-off times are converted to your local timezone.